As winter draws to a close and ice fishing ends, anglers begin looking toward open water. This is especially true for those searching for big slab crappies. Water temperature and timing are huge keys, and both can happen at different times throughout the Hawkeye state. Obviously, ice-out happens much sooner the further south you go, and as a result water temperatures also warm sooner. 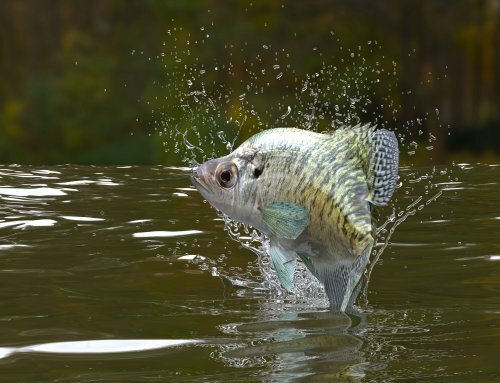 However, crappie fishing is crappie fishing and if a person really wanted to, you could spend the months of April through June chasing crappies during prespawn and spawn seasons. It’s really about studying the body of water you will be fishing and learning its little secrets! In early spring, look for crappies to move into shallow water areas where the water temperature will rise more rapidly, especially when the day is sunny with little wind. 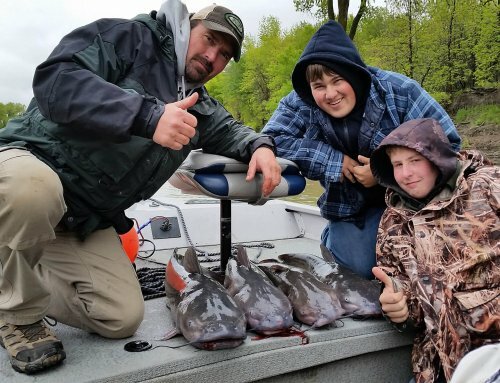 Since I fish the natural lakes like West Okoboji and Big Spirit here in northwest Iowa, I will target inlets, areas where water is entering the lake, canals and marinas. If the canals and marinas have wood docks, that makes it all the better. The wood warms from the sun’s rays, and that attracts the crappies. Best fishing days will be warm, sunny and calm. In small lakes look for shallow coves, brush piles or near the rocks along the dam. In large flood control reservoirs springtime crappie frequently congregate near submerged structure such as trees. With spring runoff, water flowing into these areas from feeder creeks warms the lake water faster than the deep water of the main lake, which attracts crappies. Springtime crappies will also concentrate in the backwaters of the Mississippi River. As water continues to warm, the crappies will become more and more aggressive. As temperatures climb toward the upper 50s, the crappies will be moving toward their spawning grounds. Spawning often takes place near the base of vegetation stands, such as stands of bulrushs or cattails. The males will move to the grounds first, creating bowl-shaped nests over gravel, sand and even muck substrates. Although both males and females can be caught, the males actively defend the nest and will pretty much strike at anything that comes near the nest itself. 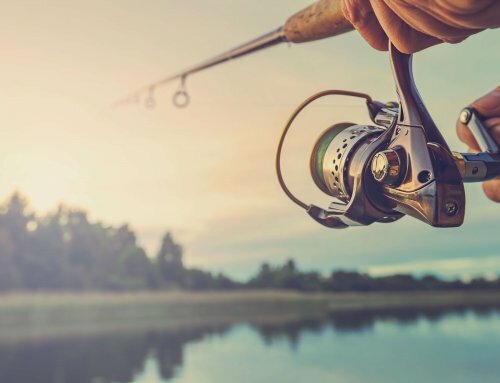 Early in the spring, when the crappies are in the canals and marinas, accessing the docks and other “man-made” structure is as simple as walking and fishing from the docks and piers. However, if they are private docks, being able to use a boat becomes extremely important. When the fish are in the shallow bays, inlets, etc., anglers can often don a pair of chest waders to reach the fish. Again, the answer often becomes access via boat! One of the traditional favorite artificial lures is the 1/16-ounce and 1/32-ounce leadhead jig with either a feathered or plastic-body such as a mini-jig. Although a variety of colors work, the most consistent producers are white, yellow and chartreuse. They can be fished with or without a bobber, but the bobberless rig has more flexibility in trying different depths. Many anglers will choose to suspend their jig from a small bobber, because crappies often move up from beneath to take the bait. The bobber can either be a clip-on bobber or a slip bobber. In the shallow water, I prefer an egg shaped clip on bobber, because I feel I can detect a bite more easily. Whether a bobber is used or not, jigs are most often fished 6-12 inches off the bottom. Another group of lures gaining popularity are the many tungsten “ice fishing” jigs. Used either as straight-lining or beneath a bobber, a subtle jiggle, jiggle, jiggle is often something crappies cannot resist. Finally, there is the traditional bobber and plain hook (size #4, 6, 8). A light splitshot is placed about a foot above the hook to make sure the minnow stays in the strike zone. Small minnows are, by far, one of the best live bait for crappies. Selection of the proper-sized minnow is very important. Most bait shops will carry several sizes and generally refer to the smallest size as crappie minnows. 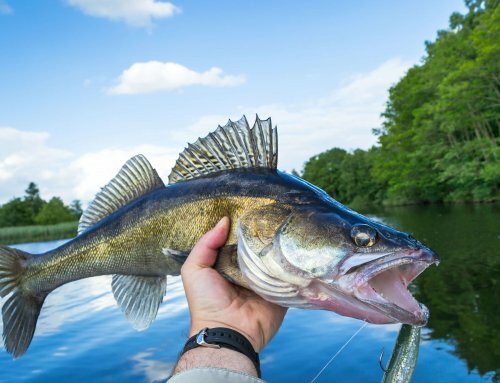 Some anglers also tip a leadhead jig with a small minnow on occasion when fishing is slow. When using a jig and minnow combination, hook the minnow through both lips instead of in the back. 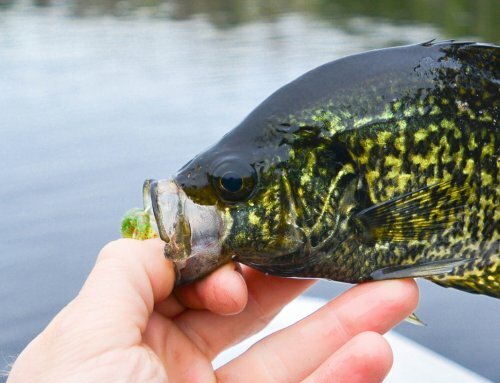 Other popular live baits for crappies include a large assortment of insect larvae such as waxworms, mousies, mealworms, and silver wigglers all work well. Plastics also work well when tipped to the jig or ice fishing lure. Getting excited? Open water is just around the corner, and those big slab crappies will be just waiting for that bait to drop in front of them. As with any type of fishing, the more you go and the more you become proficient with your presentations, the better luck you will have. The chase is on!